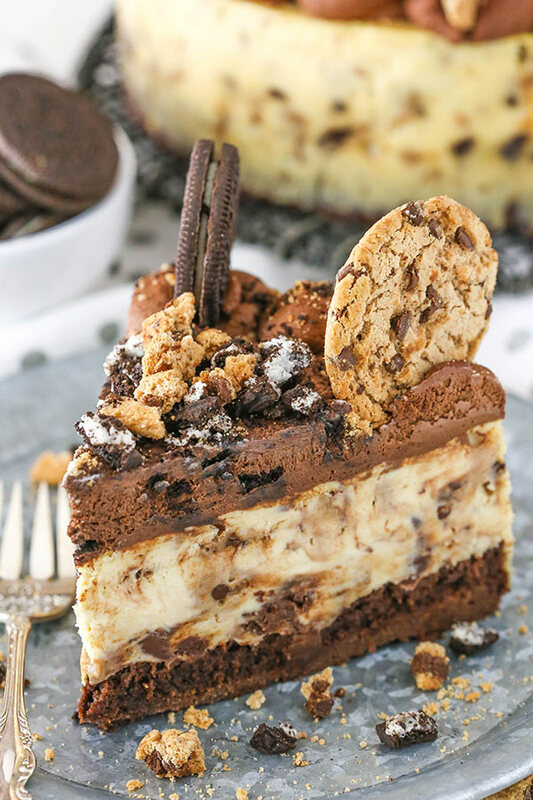 This Oreo Brookie Cheesecake recipe is made with a chewy brownie bottom, chocolate chip cookie cheesecake filling and Oreo whipped cream! It’s FULL of chocolate and so addicting! It’s hard to believe that 4 weeks from today, we will be welcoming our twins into the world. We have delivery scheduled, unless they come on their own sooner. It’s a little bit surreal and borderline overwhelming to think of all that we’d like to get done before then and all that will change afterwards. Especially since I’d really rather eat delicious things like this cheesecake. Oh. Em Gee. The combination of brownie, Oreos and chocolate chip cookies is one that I’ve been a fan of for some time now. 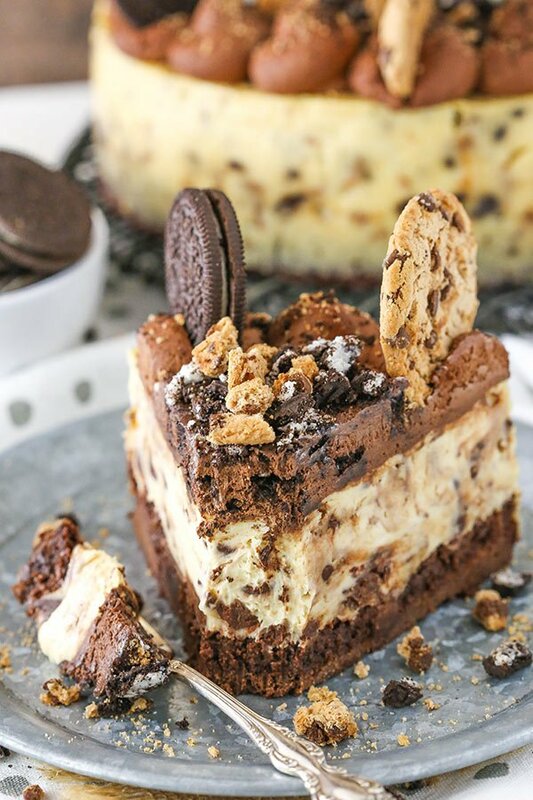 I’ve shared an Oreo Brookie Layer Cake, Ice Cream Cake and even a fun Tiramisu. Now today, I’ve got everything in cheesecake form. If you’ve made my Kahlua Coffee Brownie Cheesecake (and you really should), then you’ll find that the brownie bottom of this cheesecake is made with the same method. Bake the brownie in the same springform pan you’ll use for the cheesecake. Then before adding the cheesecake filling, wash off the sides of the pan, respray with non-stick spray and reattach it to the bottom of the pan. It helps things stay in place once the cheesecake is baked and you want to remove the sides of the pan without it messing up the sides of the cheesecake. The middle layer is the cheesecake filling and it’s full of chocolate chips and chocolate chip cookies. To die for! Probably my favorite of the three layers. SO so good! After the filling is added on top of the brownie, the cheesecake it baked. Another quick tip for making sure the sides of your cheesecake stay nice is to jiggle it around (slowly and carefully!) when you remove it from the oven. Just kind of roll it to the sides to loosen the cheesecake from the edges of the pan. This loosens things up to again try and make sure you get lovely looking sides at the end after cooling. The top layer is where the Oreos come in and they are mixed into a tasty chocolate whipped cream that’s added after the cheesecake has completely cooled. 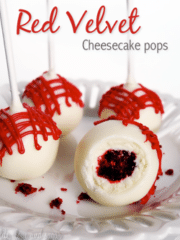 Easy to make and a great way to top off the cheesecake. 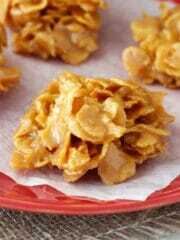 Add a few cookies and crumbs to the top for decoration and you are ready to go! This cheesecake is a total masterpiece – both in it’s fun-ness and how delicious it is. I’ve been loving chocolate lately and it totally hit the spot. 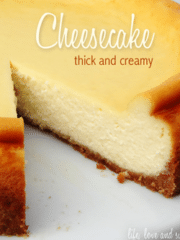 For something fun and different, this is an awesome cheesecake to enjoy! 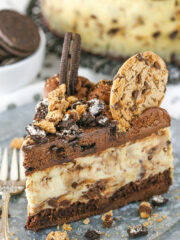 Oreo Brookie Cheesecake made with a chewy brownie bottom, chocolate chip cookie cheesecake filling & Oreo whipped cream! A chocolate dessert dream! 3. In a large bowl, combine the butter, sugar and vanilla extract. 8. When the brownie is done baking, reduce the oven temperature to 300°F (148°C). Remove the brownie from the oven and allow to cool for about 10 minutes. 9. Remove the sides of the springform pan, wash, respray with non-stick spray and reattach to the springform pan bottom, with the brownie still on it. You can skip this step, but I find that the edges of the final cheesecake look best if you wash the sides of the pan before adding the cheesecake filling. 2. Add the sour cream and vanilla extract and mix on low speed until well combined. 3. Add the eggs one at a time, mixing slowly to combine after each addition. Scrape down the sides of the bowl as needed to make sure everything is well combined. 4. Stir in the chocolate chip cookies and chocolate chips. 5. Pour the cheesecake batter evenly over the brownie. 6. Wrap the outside of the pan with aluminum foil, then place the springform pan inside another larger pan. Fill the outside pan with enough warm water to go about halfway up the sides of the springform pan. The water should not go above the top edge of the aluminum foil on the springform pan. 7. Bake for 1 hour. The center should be set, but still jiggly. 8. Turn off the oven and leave the door closed for 30 minutes. The cheesecake will continue to cook, but slowly begin to cool as well. 9. Crack the door of the oven for 30 minutes to allow the cheesecake to continue to cool slowly. This process helps prevent cracking. 10. Remove the cheesecake from the oven and water bath wrapping and refrigerate until firm, 5-6 hours or overnight. I like to gently jiggle the cheesecake around inside the pan to loosen it from the edges of the pan before I put it into the fridge. It can help the pan sides be removed later. Once completely cool and firm, remove from the springform pan sides and place on a serving plate. 1. To make the whipped cream, add the heavy whipping cream, powdered sugar, cocoa and vanilla extract to a large mixer bowl and whip on high speed until stiff peaks form. 2. Stir in the Oreo crumbs and chopped Oreos. 3. Pipe swirls of the whipped cream around the outside edge of the cheesecake. Because of the chunks in the whipped cream, it’s best to use a round tip. I used Ateco 808. 4. 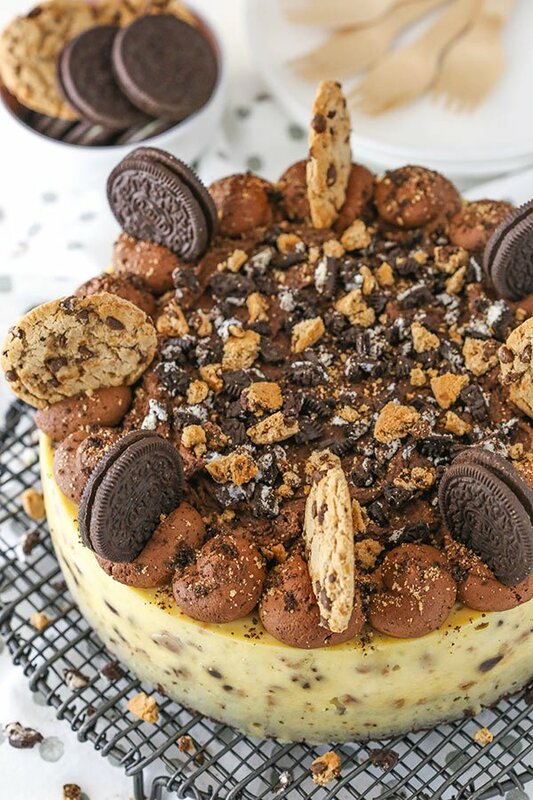 Fill in the center of the cheesecake with the remaining whipped cream and top with additional chopped Oreos and chocolate chip cookies. 5. Refrigerate cheesecake until ready to serve. Cheesecake lasts best for 3-4 days when well covered and refrigerated. Hey Lindsay, you didn’t say what the unit of measurements were for the whipped topping powdered sugar and cocoa, it just says 1/2 for each without a cup or tsp or Tbsp. Thank you for pointing that out! Not sure what happened, but it’s been updated. Lindsay, there are actually some tasty things you can make with protein powder! It bakes especially well into cheesecake! And if it was peanut butter cheesecake, you’d get an even bigger protein boost! No pressure though ???? 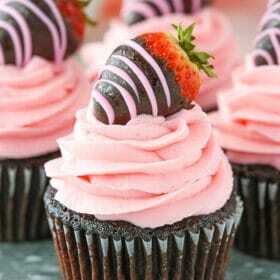 This looks so sinful ! Love all your posts. I must give it a try. Can I divide the recipe by half if I use a 5″ round cake tin? I haven’t made a 5 inch cheesecake before to say for sure, but that sounds like it’d be fine. Hi, the picture shows a top layer of brownie as well. How did you achieve that? It might look like a brownie, but it’s the Oreo whipped cream on top. 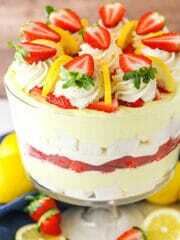 I just love this cheesecake. Every step is nicely explained. I am anxious to try the Oreo Brookie Cheesecake. It’s another gorgeous “showstopper.” I love all your cheesecake recipes and I have no doubt it will be one of the best I’ve ever tasted. Your recipes are pretty much the only ones I use because the taste and presentation are phenomenal. I never ever have to make adjustments with ingredients or instructions. They always turn out exactly like your pictures. When I serve one of your cheesecakes, I always hear ooze/awes! Thank you for making me look so good! You are exceptional and at the top of the game!! I am so glad I found your website. Don’t ever stop posting your recipes. Thank you so much Themla! So glad to hear you’ve enjoyed everything! Lindsey, so happy for you! I just saw a pic of you pregnant. I am hope all is well. When I have time, I will read more. Just wanted you to know I made the nutella cake and get an excellent review on it from a client. He wants me to make an event cake for 40 people! Suggestions on the best way to do that. I am just a home baker. No schooling. Thanks! Thanks so much Jeanette! Glad to hear the Nutella Chocolate Cake was a hit! As for the event cake, it all depends on what he’s looking for. Here’s a little guide from Craftsy on generally how many servings you get from your average cake pans. It would look like it’s suggesting a 12 inch round, if you’re doing a round cake. You’d likely need to double a recipe – or so. You might need to play with it a bit to make sure you’ve got the right amount of cake/batter. Also, for 12 inch pans you might want to consider something like a heating core. It helps the cake bake more evenly so the edges don’t cook way before the center of the cake. Oh my yum! 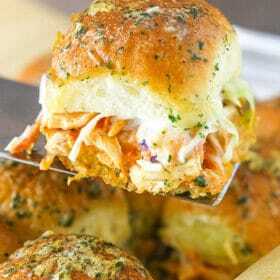 Making this ASAP. 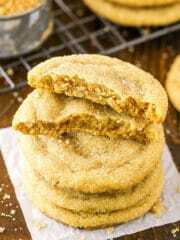 Do you use your own homemade chocolate chip cookies? No, I used crunchy Chips Ahoy. I had a lot of fun making this and it turned out beautiful! Thanks for such a fun recipe! I absolutely LOVE that you list 2 types of measurements for each ingredient. It is super helpful. Thank you! I see you leave the brownie underneath the cheesecake layer to bake again. Doesn’t this dry out the brownie layer? I was going to take the brownie layer off and then reassemble later, until I read the instructions. Please let me know if this is accurate? I’ve never seen this process before. It’s correct, the brownie is baked again. It doesn’t dry it out at all – I promise. 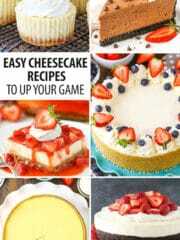 I used the method before in other cheesecakes, like this one. Holy WOWSAS!!!!! That was incredible! I’m so glad I found this recipe. Will definitely be making again! Thank you! Can I skip the water step if I do t have a pan bigger than my springform? You could, but I do fine it affects the way the cheesecake bakes. Read more about that here. Am I baking this for an hour, then turning the oven off and leaving it in for 30 minutes, then opening it for 30 minutes, for a total of two hours? Quick question, if you bake the brownie and then bake it again with the cheesecake make the brownie mix hard ? Aren’t we overbaking the brownie? Nope! It doesn’t over bake it. I made this and the water leaked into the cheesecake pan!! Any advice? I have this tutorial for how I prevent leaking. I hope it helps! Could I use a boxed brownie mix? And if so, how would I go about doing that? That should be fine. I’d guess you’d bake it according to the package instructions. Perhaps you only need half of it? In the recipe you say to use 24 oz of cream cheese but in your video it looks like you are using 4 blocks of cream cheese … each block is normally 8oz so should I be using 32 oz of cream cheese or is there a brand that sells 6oz blocks? One of the blocks might just have broken into two. 24 oz of cream cheese is correct. Any tips on taking the cake off the springfoam pan…I’ve never done that before! I usually run my 9 inch offset spatula underneath it to help loosen it and then it just slides right off with the parchment paper. Absolutely love your blog! And your cakes look insane???? I think I need to move in with you???? I’m so glad you’ve enjoyed the blog! The peanut butter wouldn’t work, I’m sorry. The consistency would be quite different. Hi Lindsay! 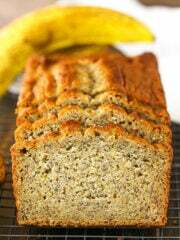 I love this recipe and have made it a couple of times and it’s always a crowd pleaser. I was thinking of freezing it for a special occasion I have coming up. 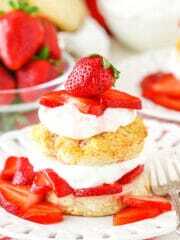 My thought was to add the whipped cream and cookie garnish after it has thawed before serving. I would appreciate your thoughts and suggestions. I *think* that would be ok. One question in my mind is how the brownie would do and if moisture from thawing would affect it. Probably not, but possibly. Otherwise, it should be fine and yes, I’d add the garnish on top after thawing. Could I do these as individual (minis) cheesecakes in a cupcake tin? 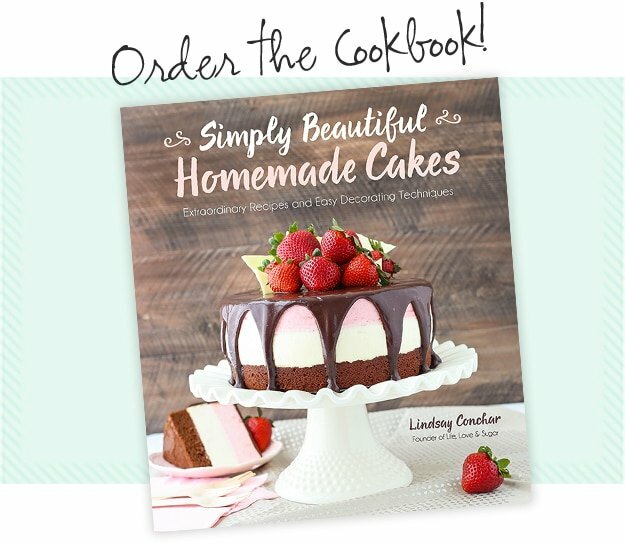 If so what would you suggest for baking time? You probably could, but there are several adjustments to be made and it’d be hard to say without trying it. It looks wonderful! I’m so glad to hear you enjoyed it! Hi there! For the chocolate chips in the cheesecake batter, do you us milk chocolate or semi sweet? Thanks! I use semi-sweet, but milk chocolate should be fine to use if you prefer. This!! I have created a recipe similar to this one as a result of how amazing this one looks! Such a show stopped. You are very creative! Brownie bottom cheesecakes are now my favorite! Thank you and I’m so glad you enjoyed! Do you think this would be ok to make in a 9×13 pan? Hmm, it would turn out thinner and you’d need to adjust baking times, but it might be ok. I haven’t tried it, but I might consider doubling it. This recipe was the inspiration for a cheesecake I made for my blog. Although I changed it up a bit, thank you so much! I sourced you as the inspiration! I admire your blog and your creativity! Thank you again! 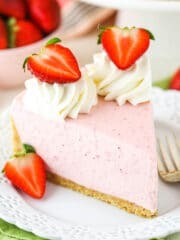 This cheesecake looks amazing and I am going to try it for my brother’s birthday next week. 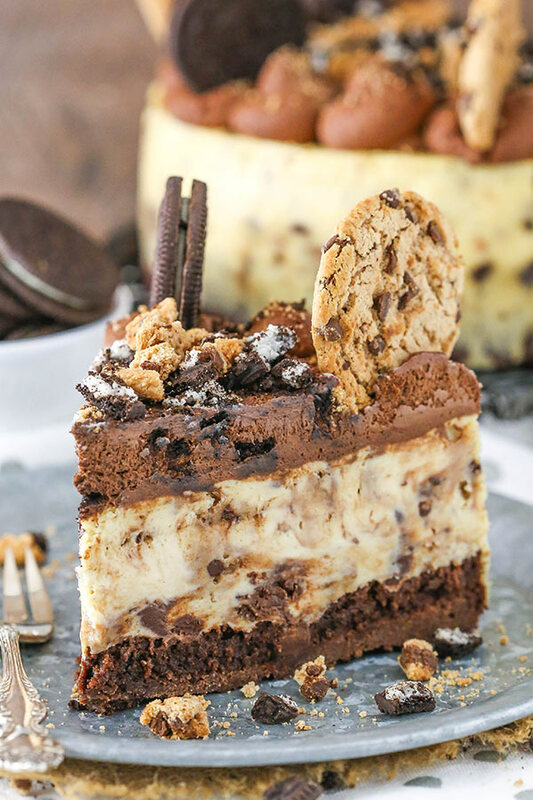 He requested an oreo brownie cheesecake or reeses, so I was wondering if you think it would work to substitute the chips ahoy cookies for chopped up reeses peanut butter cups or if the texture might be a problem? Or if I just used all oreos instead of chips ahoy? I may just have to make it just like you have it because it looks/sounds amazing, but trying to accommodate his bday request haha. Last question – is this cheesecake really sweet? I feel like the cheesecake may balance out the sweetness, but not sure? I haven’t tired reese’s in this recipe, but you could try it. 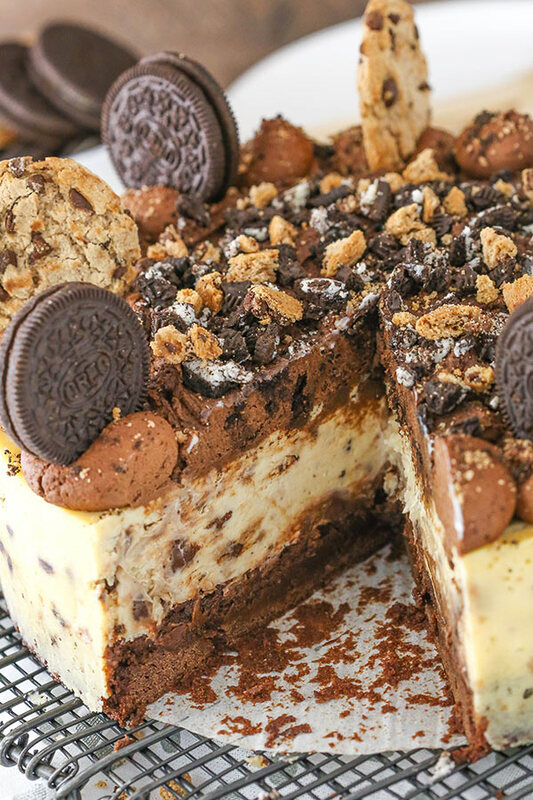 Another option is to use the brownie bottom and oreo whipped cream from the Oreo Brookie Cheesecake and the oreo cheesecake filling and oreo mousse from my Ultimate Oreo Cheesecake recipe. I hope that helps!